Your company’s website isn’t something that should be taken lightly. If it becomes apparent that your company’s website needs some improvements, you’ll want to present a website redesign proposal to your boss as soon as possible. However, you’re likely to face some challenges when presenting your ideas. Unfortunately, not everybody understands the value of an optimized and user-friendly website. And, even among the business owners who do, redesigning a website costs money and staff time that they may not be willing to sacrifice right now. Even if YOU understand how important and invaluable a well-made website is, if you aren’t convincing in your proposal, your boss may not sign off on it. Identify the problems of your current website. The first thing your boss might ask is going to be, “What’s wrong with the website the way it is?” This, of course, means that you need to be ready to explain why the website needs to be redesigned by going over each issue. For example, maybe your website doesn’t have a responsive design, which means that the company website doesn’t display properly on mobile devices. Explain to your boss that you’re losing out on tons of potential customers if they can’t load your website or navigate it properly on their smartphones. 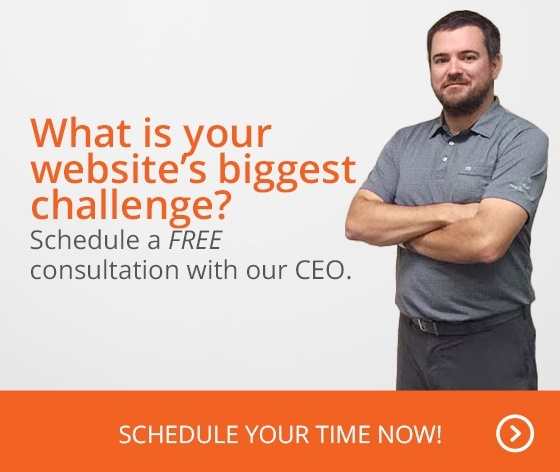 There are plenty of other issues your website might have. Does it load slowly? If it does, then not only are you losing impatient visitors on a regular basis, but you’re hurting your search ranking, which affects how easily you can be found in a Google search. Maybe the layout itself is a problem and visitors are having trouble navigating or finding what they are looking for. This can drastically affect your ability to capture leads or to make sales via the website’s e-commerce page (if your site has one). Explain the goals and habits of your users. Your website might be perfect in terms of its design, navigation, page loading speed, and more, but a website redesign may be required if you aren’t reaching your target audience. Maybe your blog isn’t delivering the kind of content that your target audience wants to read. Maybe your website simply isn’t meeting the needs of your users. This can be a little harder to sell to the boss on since these aren’t easily apparent problems. If possible, do a user testing session so that you have hard data to present to your boss. You can also ask for feedback on your website via social media or send out questionnaires about your website to those users that have opted into your email newsletter. Create a summary using this feedback that highlights the main takeaways in order to convince your boss that the website needs to be redesigned in order to better align with the needs of your users. Back up your presentation with numbers. You can spout on all you want about all the issues with the website, but no boss is going to pay any attention unless you can back up your statements with cold hard facts. To do this, you need to use analytics tools in order to obtain more detailed information about the issues the website has. For example, showing your boss the actual bounce rate can help them understand that too many visitors are leaving due to poor loading times. A low conversion rate on your blog can show them that the content of your blog isn’t connecting with your readers. Short session times can help show them that navigation may be poor. By using tangible figures, you’ll make a much better case as to why you need to redesign the company website. A website redesign shouldn’t just address what’s broken, but what can be improved. Explain to your boss how improving the design and features of your website can help the business in the future. Be specific about how your website redesign proposal can help reach company goals, like boosting brand awareness over the next year or how it can boost sales on a month-to-month basis. Convincing your boss that you need to overhaul the company website can be a challenging task. It’s not always cheap or easy to redesign a website, but there’s potential for major ROI if it’s done well. Your website redesign proposal needs to be effective in communicating your website’s current issues and how a redesign can help to further your company’s goals in the future.